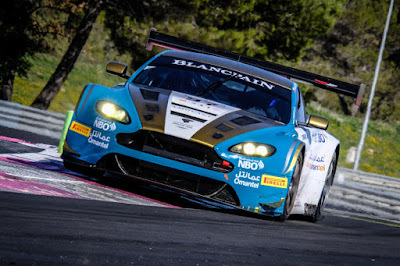 The headline racing event of this weekend of course must be the return of the Blancpain GT Endurance Series with the 1000kms of Paul Ricard - a classic day into night, multi driver category GT race featuring an entry of over fifty cars. 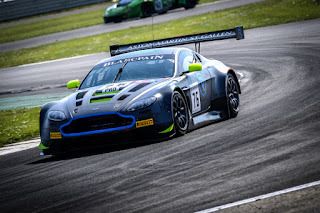 With the last rounds results still only provisional after eventual race winners R-Motorsport logged an appeal against their Qualifying exclusion for a technical offence before the start of the Silverstone 3 hour event, we still await for the series to declare a result on that one. 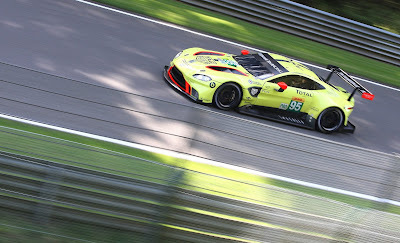 Whatever happens with that, the race day displays from both the #62 and #76 Arden prepared R-Motorsport V12 Vantage GT3's was exemplary and another example of just what the venerable Aston could achieve against its more 'modern' equivalents with Nicki Thiim, Jake Dennis and Mathieu Vaxiviere taking a very comfortable 'win'! In the Silver Cup, the #97 Oman Racing by TF Sport crew of Ahmad Al Harthy, Euan McKay and Charlie Eastwood will be hoping that Lady Luck will be with them this time after having avoidable issues strike them down during the first two rounds of the Series with a podium looking almost certain at Silverstone before contact from another runner forced otherwise. Packing everything into a Friday/Saturday format this time, Qualifying will take place in the morning ahead of a 17:45Hrs (local) start for the race that will take the end well into the Southern France evening. 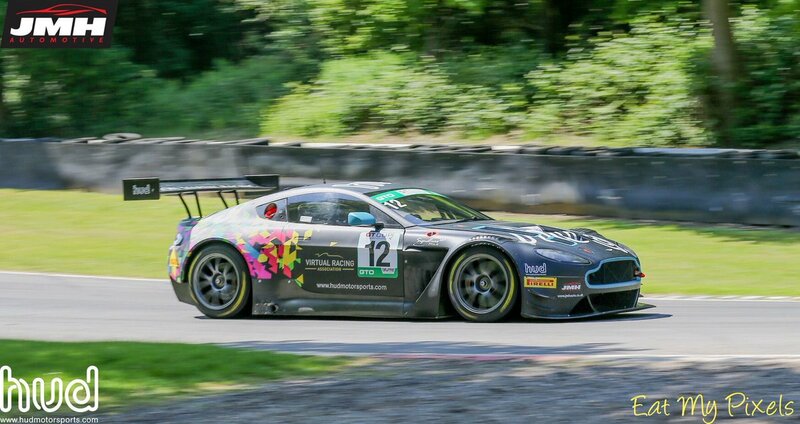 After their frustrations with a dominate interloper at Brands Hatch, Nigel Hudson and Adam Wilcox this weekend embark on their annual pilgrimage to Spa Francorchamps for the third round of the GT Cup Championship aboard their Hudmotorsport V12 Vantage GT3. Having already enjoyed two race meetings where the #12 crew have stood upon the podium they will be hoping that in the absence of that Optimum Audi R8 LMS that they will be having a clear shot at that illusive top step over the course of the weekend. 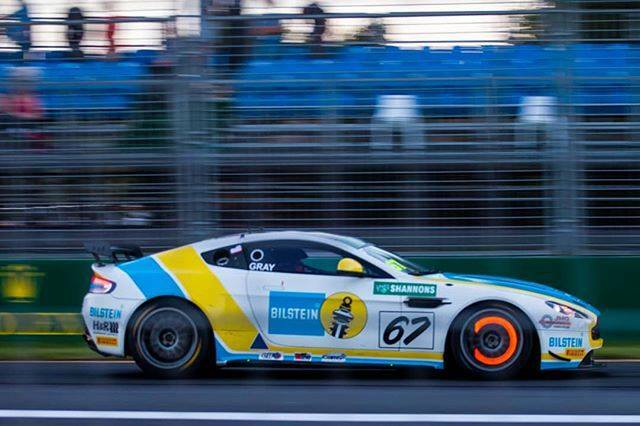 Over on Phillip Island, the second endurance round off the Australian GT Championship takes place this weekend with Andrew Miedecke again joining Jeremy Gray in his JMG/Bilstein V8 Vantage GT4. 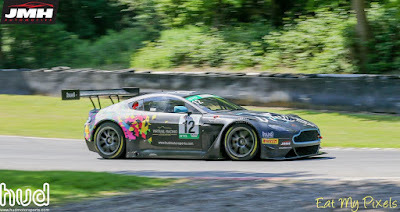 Having had something of a 'mare' in the last endurance round at The Bend when the weather played havoc with the proceedings, a dominant performance from Gray at Sandown saw him extend his championship lead with maximum points after his closest rival skipped the event. 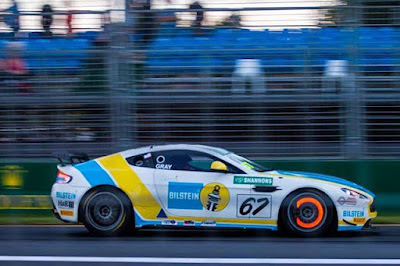 Thirty five multi classed cars will compete in the Phillip Island 101 race with four other GT4's competing against the #67 car. And after all of that - there's always the 24 Hours of Le Mans Test Day at Le Sarthe!!!! !